At A Local Printer we are available to help with all types of enquiry. If you need any information or advice please give us a call on 01903 742003 from 9am to 5pm Monday to Friday, or use our Contact Us page. We prefer to take payment up front on our website which helps us to keep our prices low. Our payment options include PayPal and credit/debit card payment and our site is GlobalSign secured. Paying online means your order gets in to our system quicker and we can jump straight on it for you! Payment is required at the latest before 3:30pm on the day your delivery is due to be dispatched. We can also take payment over the phone between the hours of 9am – 5pm Monday to Friday. Please quote your job reference number on bank or BACS remittances and allow time for the funds to clear before we dispatch you goods. Please make cheques payable to A Local Printer Ltd and allow 5 working days for funds to clear before receiving delivery. For your security, all of our online payments are managed by PayPal, one of the most secure payment platforms in the world. In order to guarantee the security of your card details we do not handle your payment directly. We cannot see and therefore do not record any information you enter: all your financial information (like your bank account details and your credit card number) is securely stored and encrypted on the Paypal servers. Do I need a PayPal account to make payment? No! You do not need a PayPal account to make a purchase from A local Printer. Simply enter your debit or credit card details and off you go. If your product is liable for VAT then it is added automatically to the cart so you can see exactly what your total payment will be. Some items, such as leaflets and flyers, are exempt from VAT. However, if we spot that your product is liable for VAT it is our duty to contact you for that sum. Should VAT be due you will receive a VAT invoice once your job is dispatched. VAT is due on all vatable items UNLESS you are registered for VAT in your member state and can provide that VAT number. If you are not VAT registered then VAT is applied. Please see more information on the HMRC Website. Credit accounts can be organised by special arrangement with our Finance Department, as there is specific criteria to be met. Please contact us on 01903 742003 for more information. All of the prices you see on our website are inclusive of delivery. There are no additional delivery costs at the checkout – unless you live in the areas listed below in which case a fixed cost is added to your order to cover the additional courier charges to these remoter areas. The delivery cost to these areas is based on weight and for larger orders we will need to contact you to take an additional payment. The prices shown are for delivery of up to 15kg. 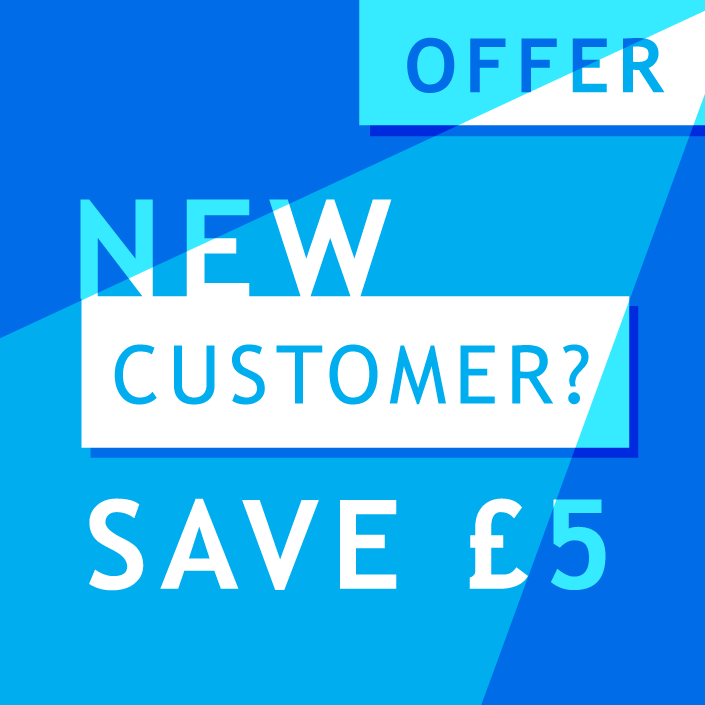 If in doubt we recommend that you contact us for an accurate price, that way there are no nasty surprises! Courier delivery to these areas takes two-five days. We will notify you when your order is out for delivery. You will receive a notification from our delivery partner (DPD) if we are dispatching through them. Your order will also show as 'Completed' in the 'Manage Orders' section in your online account. If you have been issued a consignment number from DPD please use this link to track you order. The delivery lead time for all of our products is published on each product page. As a rule of thumb it is up to 5 working days to dispatch from proof approval with the exception of some items indicated on the website. Delivery is generally made the next working day after dispatch* via express courier, Royal Mail First Class or our own vans. Whilst we only use reputable couriers we cannot be held liable for any delays caused by the courier - sadly that is out of our control! * Delivery to Highlands and Islands will take 2-5 days from dispatch. Yes you can upgrade** your delivery to the following services. These are not available to order on the website - please contact us or advise us by using the additional information box during checkout if you would like to use one of these services. A member of the ALP team will contact you to take the additional payment once your order is being processed. VAT applies on all of these prices. **These enhanced delivery options are supplementary to the standard delivery lead time and are not available for delivery to Highlands, Islands, Northern or Republic of Ireland and Channel Islands. We can ship to anywhere in the world, but this is an additional service with costs based upon weight of the consignment. Please contact us for more information. On the day of your delivery you will be sent an SMS message with a time slot with the option to move the delivery to another day. We also suggest leaving a clear notice for the courier driver to leave your delivery next door, in the garage etc – they are usually very happy to comply. If nobody is available to sign for your order when the courier attempts delivery then a calling card is left. It will have a telephone number on it which you will need to call and rearrange delivery of your order directly with the courier. You can also call us on 01903 742003 and we will do what we can to re-arrange the delivery for you. Can I change my order and delivery address? Once you've checked-out your order will begin going through the production process. In terms of printing it may not be possible to make changes to it once we've begun. If you need to change the address you want your order delivered to we can usually do this if your order is 'in progress'. For change of delivery address etc we will need your instructions in writing sent to info@alp-group.co.uk and we will do our best to accommodate you. The first thing to do is check the courier’s website using the information sent to you via the text message informing you of your delivery slot. Their website will tell you exactly where your order is – out for re-delivery or left with a neighbour etc. If you are still experiencing problems get in touch with us and we will set about tracking it down. Is your packaging branded for A Local Printer? Can I have ‘plain cover’ delivery? Our delivery notes and packing will contain some branding. If you are a re-seller and would prefer an unbranded delivery then please select the ‘plain delivery’ option at checkout - there will be no mention of our company name on any labels or boxes whatsoever if you choose this option. Go to ‘Sign in’, enter your email and click on ‘forgot your password’ for details on how to re-set your password. Once you log in to your account you have options to change your password, your email and any of your delivery addresses. How do I place a reprint (re-order)? It’s easy to order reprints via the website. Simply login to your account and choose the appropriate order in your ‘order history’ to drop it in your basket. You will even be able to see the artwork you originally upload for extra peace of mind. From there you can click through to checkout, or amend the item in the basket. Opting to edit an item will take you back to the appropriate product page; the pricing table will highlight the product and quantity that the repeat order relates to. From there you can select a different quantity, size, material etc and then place the product in the basket in the usual way and continue through to checkout. Remember, as this is a repeat/amended repeat order we will be using the artwork originally supplied. If there are changes to your artwork then you will need to place a new order and upload new artwork. If you are having trouble finding what you want to re-order gives us a call and we will be able to help locate it! Logging in to your account will show you if you have proofs outstanding or if your job is in progress ie, being printed and finished. When we despatch your order our Interlink couriers will email you with the delivery date, estimated delivery time and a tracking number / link, which will provide you with your tracking information live on their website. For any amendments to your order including quantity, material, size, delivery address or artwork we will need it confirmed to us in writing. On the basis that we are not so far in to production that we are unable to make any changes we will confirm back to you that your instructions have been carried out. Yikes, I uploaded the wrong artwork – what shall I do? As above we will do our best to accommodate any artwork changes. It may involve running a new set of printing plates which we will charge you for. Please email us as soon as possible to make any artwork changes! Will I see proofs for approval? We supply a free PDF proof as standard. If you require a high resolution digital Epson colour proof instead this is an optional extra and costs £30, or £45 for imposed booklet proofs, plus VAT. Epson proofs are calibrated to our printing presses and are a good indication of finished colours for silk art or gloss art products. 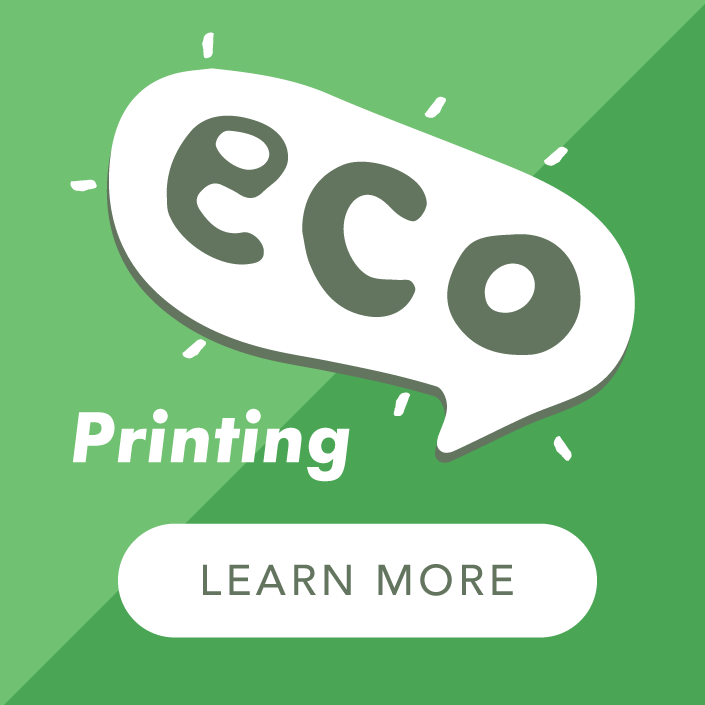 If your order is being printed on 100% recycled paper the proof will look different to the finished product due to the inherent nature of 100% recycled paper which has a tendency for the colours to look less vibrant than the proof. Due to the bespoke made to order nature of printed matter the Customer shall not be entitled to a “cooling off” period to cancel the Work ordered. However, if the Customer cancels any contract the Company shall only charge the Customer for any materials purchased for the contract and Preliminary Work or Work already undertaken up to the time of cancellation. Most orders are processed in some form or other as soon as the job is received. Due to the quick turn-around nature of our business and the number of orders we process in one day we may not always be able to offer a full refund. Similarly, if your order has been printed we are unable to offer a refund. Mistakes can be easily made, but please note that we do not offer a proof reading service. We work on a WYSIWYG basis – What You See Is What You Get! So make sure that you spend some time checking your artwork before you send it to us – particularly spelling, prices, names, dates, contact details etc. If you spot the mistake in time we can make the amendment for you but may make a charge for this service dependent upon the complexity of the change required. If you can’t find the product or quantity you require please email info@alp-group.co.uk with your full requirements. We can generally help with most enquiries! What if there’s a problem with printing my order? If there’s a problem at any stage of your order then we will let you know ASAP by email or by phone to keep you updated on the situation and make recommendations as to resolving it. What if there is a problem when I receive my order? We admit that sometimes something goes wrong – human error or technical, it is frustrating and disappointing. We want you to open your delivery and be as pleased with it as a kid at Christmas! However, if you do find something wrong please contact us in writing and outline the issue. We guarantee that we will do our best to resolve it swiftly and to your satisfaction. All claims with regard to the quantity or quality of the goods shall be made in writing to us so as to reach us within 5 working days of receipt of goods or such goods shall be deemed to comply as quantity within the terms of the contract. Do you provide bespoke quotations? Yes we do! Special finishing, light packaging, NCR sets, variable data printing plus much more besides. Simply contact us with your exact requirements for helpful guidance and a quick, no fuss quote. Do I earn Loyalty Points on my orders? You certainly do. Our loyalty points are based upon 1 point per pound spent, excluding VAT, which is rounded up or down accordingly. You can save your points and spend them whenever you want! Your loyalty points are shown in your account and you can redeem qualifying points at the Checkout. How do I check the status of my job? Proof Declined – new proof to be uploaded. Status reverts to Proof Pending. Completed – Order is complete. A Local Printer’s maximum upload limit is 50mb. How do I know if you have received my artwork? Please be patient while your artwork uploads to our server. Depending on your Internet upload limit it may take some time if your file is large. Your artwork will show as an 'Artwork Link' in the uploads table, it will also show at the bottom of each order and also in the 'Manage Your Artwork' section within your account dashboard. If you have emailed your artwork to us via wetransfer.com you will receive a notification when we have downloaded the file. My artwork is bigger than 50MB! If your artwork file is on the larger side, we suggest you use a Free transfer service from www.wetransfer.com. Place your order online first to get the order reference number and remember to quote it when you transfer the artwork to us. Can I make my file size smaller? Got lots of files to upload or using our multiple sorts option? You will find it easier to Zipp or compress your files into one folder. This can be done on a Mac and Windows PC. There is lots of additional information on creating, preparing and saving artwork in our Design Services section.